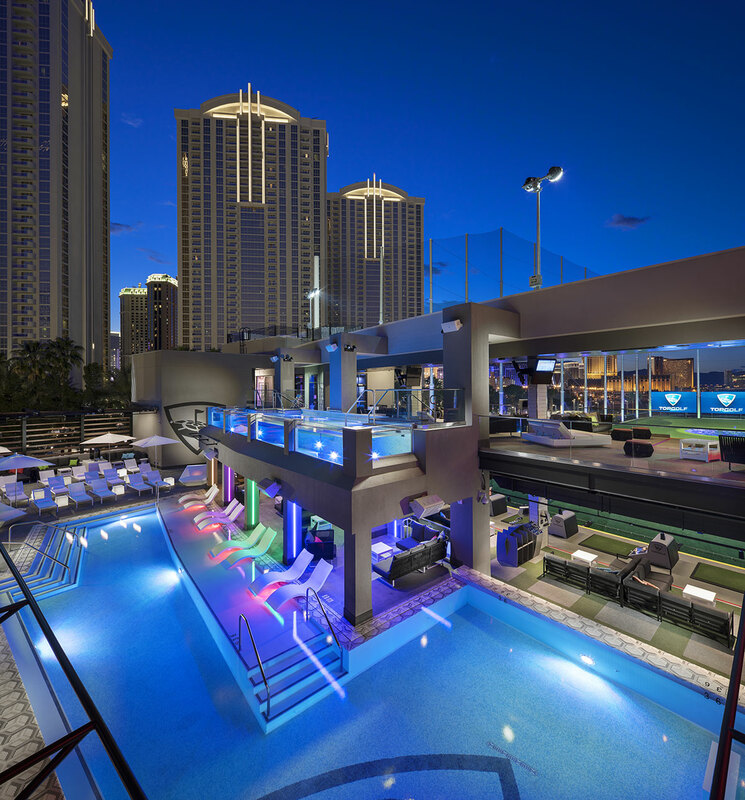 In order to highlight the building’s architecture after dark, Top Golf Las Vegas sought a dynamic exterior lighting scheme. Located in the heart of the city, and a favorite location for golf fanatics. 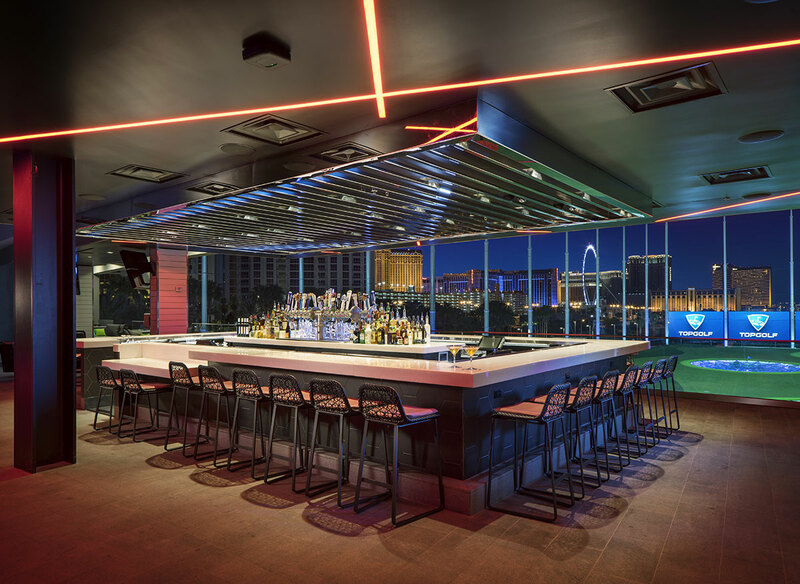 Top Golf contracted the team at Greybar to create an architectural lighting solution that would stand out in a very competitive entertainment environment. Featuring 108 climate-controlled hitting bays, VIP cabanas, a private suite, private meeting rooms & event spaces, a concert venue holding up to 900 guests, 5 unique bars and a Pro Shop, Top Golf is a golfer’s dream. 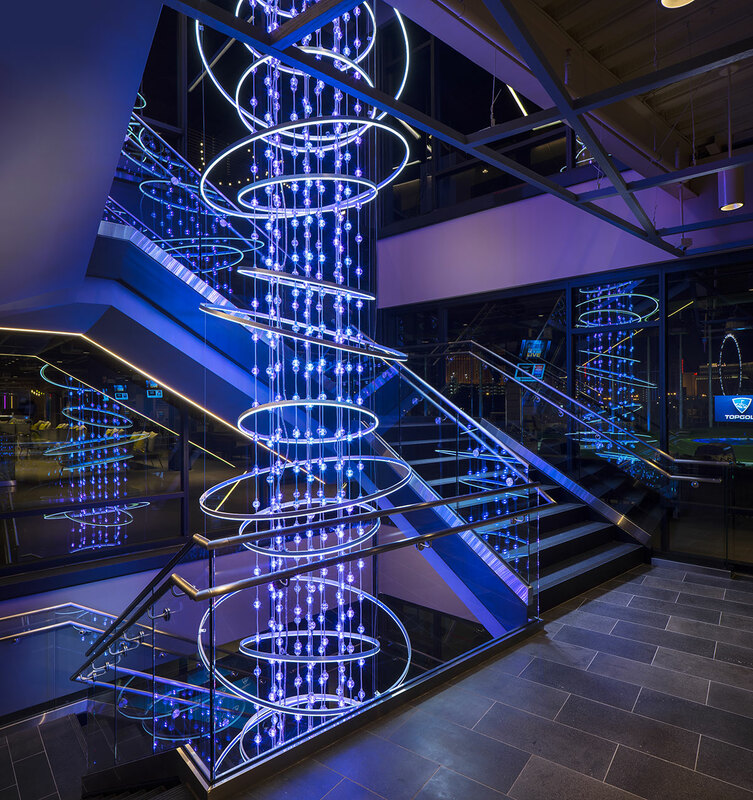 Vivid S fixtures are located throughout, from the interior to exterior façade and a stunning 3 story chandelier at the center of the building.